It has become quite apparent over the past years that America has improved since the days of slavery, segregation, and other eras of blatant discrimination. We have even gotten as far as having a black president who gave people of color a voice and shut down the voice of racism. 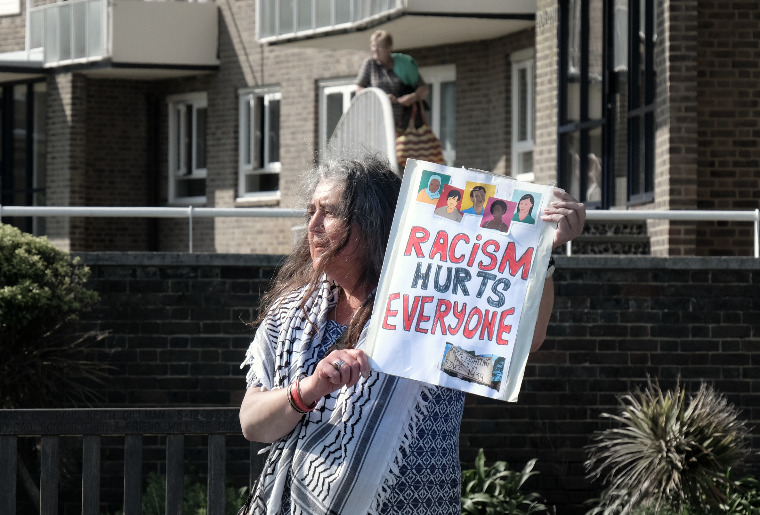 With all these improvements, one might think that the issue of racism is none existent or possibly existent but not a problem that can affect anyone to a large extent anymore. But is racism non existent or has it just been hiding in the shadows? Racism is not something unknown to me. As a young child, going to school and being taught about discrimination was quite shocking. I was told that white Americans thought of minorities as worse than dogs, some places having signs that read "No blacks, Mexicans, or dogs allowed". That on its own was enough for me to feel inferior. It did instill some fear in me, how couldn't it? We are being told that at one point in time, people of color were hated so much we didn't even have the cops on our side. But soon after we were taught that racism is "over", that people who still think this way can't hurt us anymore because it is illegal to. This was reassuring news to say the least, it was news that I would've loved to believe. But as soon as I stepped out of the classroom, I entered the real world. A world where some cops still hate us, a world where a Mexican man can be beaten and urinated on for being a "wet back", a world where a black teenager could get killed for wearing a hoodie, a world where people of color are seen as selfish for saying that our lives matter. I saw all this by flipping a couple of channels on TV. Recently, I and all of America were forced to tune in to another tragedy, this election. During this election, racism has received a spotlight few of us believed it would see again. With brutally honest commentary and uneducated beliefs, this election sparked up a lot of controversy. The comments on Mexicans being rapists and criminals or supporting the banning of all Muslims from entering the U.S., for example, seemed so irrational and farfetched that many laughed it off thinking “Who can possibly agree with this?”. Well, the answer to that question is surprising. A lot of white Americans felt this way and admitted to have been waiting for someone (specifically someone in power) to bring back this way of thinking. Closed minded people seem to have a tendency to unite. White supremacist groups are still very much alive and I doubt any of those groups will let an opportunity like this one (to have an equally narrow minded leader) go. If a person who is meant to represent a country as diverse as this one thinks so poorly of the majority of the people in it, what can we expect from the citizens whose beliefs are the same but just aren’t heard? A voice has recently been given to those who the country was trying so desperately to silence. Regardless of who is in power, the response has been overwhelming and will not shut down no matter how the country is run. Racism is not something that the country can be wiped clean of, it will remain as long as humans roam the earth, it is not logical to ask of every person to stop believing in something. But this is why I'd like to ask of you, Mrs. President to make sure that the recent wave of racists will have no impact on this country and its people. I would just like to make sure that the voice of racism is kept in check. I'd like to live in a country where those against equality are not encouraged but shamed instead. Although I understand that everyone is entitled to their opinion, I still would not like the racist beliefs to affect anyone living here. A voice of a racist seems better off heard but ignored, it is the only way it will seem to fade out. Racism will hurt more people by allowing it than it will hurt anyone by shutting it down. Yes some may lose their voice but many more will be able to live their lives feeling safe, without the fear of being attacked or targeted. This country is too strict towards the people the let in to this country. College tuition is outrageously high and should be lowered. Racism and racial inequality MUST END NOW!!!!! !